The Libel of Blood Is Here! 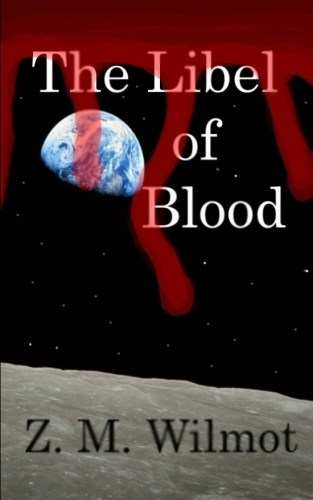 After a long wait, the moment has finally arrived: book three of the Jakken Trilogy, The Libel of Blood, has been finished and released! Currently, it is only available on the CreateSpace eStore here, but in a week or so it should be available for purchase on Amazon. After that, it will be made available on the Nook, Kindle, and then other eBook platforms via Smashwords and possibly Lulu. The Libel of Blood picks up where The Light of Civilization left off, with Jak on his way back to Earth. Of course, nothing is ever easy for our protagonist, and it isn’t long before he gets in way over his head – again. This novel completes the series of novels starring Jak, as well as the introduction to the Juxian Mythos. The universe is much larger than these three books, however; beware of more releases (so many more releases) in this universe coming, starting hopefully with Beneath. So, if you are so inclined, buy it here, or wait until it appears on Amazon or as an eBook. It’s good to have it finally released though! Hopefully my short story collection Dark Aeons will follow suit soon! Let me be the first to congratulate you! That’s fantastic, great job! I’m working on my own novel, one which will be a trilogy after I get the whole beast out of my head, and I can definitely appreciate the kind of work and dedication it takes for this sort of thing. Especially when you have to create it all out of thin air. Well done, that’s quite an accomplishment.